I like my iPhone and use it every day for the calendar, as well as for web and texting. On some days I will even use it to talk. But one of my most frequently used applications is the Reminders app, and then it’s not to remind me. Instead, I use Reminders to keep track of my grocery list. Here’s how it happened and why I do it. Not long after iOS launched it had a competent reminder system. At the time I started using an iPhone, the Notes app wasn’t available (yes, I’ve been using an iPhone for quite a while now, and it’s time to upgrade again). My husband uses an iPhone as well. He found that reminders could be shared through the then-new iCloud server, and created family reminders to keep us in sync. 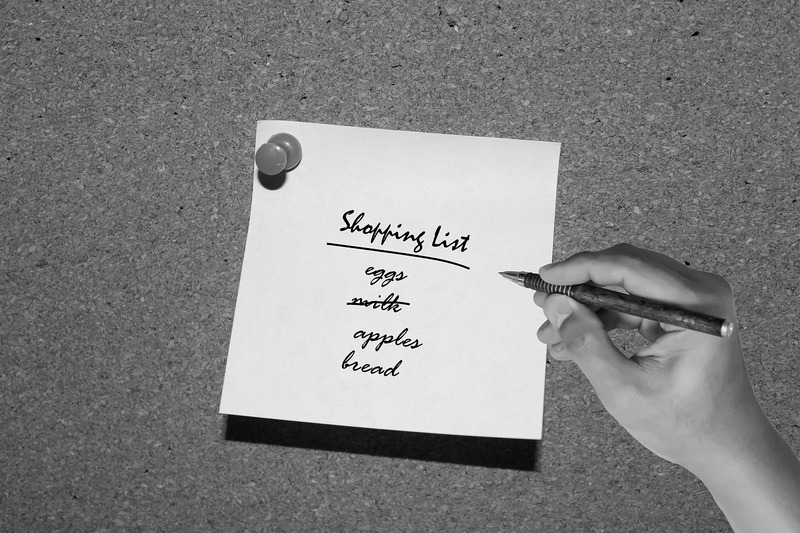 It wasn’t long after that when we hit on the idea of using reminders to share a grocery list. It worked really well, we could each add and remove items, and the list was there for whichever one of us happened to stop at the store. The Reminders app wasn’t limited to just my iPhone. I could edit the list when I was on my MacBook Air, and fine tune it when I had my iPad out later. When I was out and about (which seems to happen more than it should), I could quickly add items or remove them. My technology was finally working the way I wanted it to, and I was hooked. I never looked backed. Since I started using Apple’s Reminders for groceries, there have been other apps that have come along that are actually better suited for it. The previously mentioned Notes app that is part of iOS and MacOS now allows for lists and sharing, and it would probably work even better. The App Store has literally hundreds of apps that are great for lists. There are many websites dedicated to the curation and simplification of lists, all meant to make our lives better. People like Blake Rubin write detailed posts about life-changing apps to increase daily productivity. This is the age in which computing enables us to become more than the sum of our parts by offloading some of our mental processes to the omnipresent Cloud. But I can’t find a single compelling reason to switch from using Reminders. It just works for me, and I’m happy with it. My husband even tried to move me over to using Notes for this function, but I refused through inaction and following my habits (my usual response to such things). He gave up and saw the light. We both still use reminders for groceries. Apps may come, and apps may go, but you will have to pry my reminder grocery list from my dead iPhone hands before I will give it up. Sometimes a lady just has to make a stand for what she wants. Which reminds me, I need to add coffee to the grocery list. See, it just works.